Flembaz return to fundamentals with a blend of progressive and psychedelic techno resembling some of their early work. 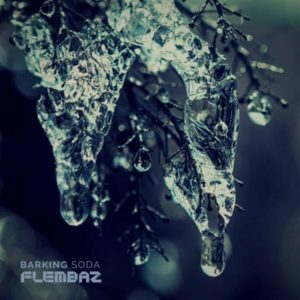 Barking Soda features two original tracks intending to build anticipation for the upcoming, as-yet untitled Flembaz album. They have been testing new gear and software so this release is a fresh experience while maintaining their classic techno-trance aesthetic. To round out the release there are also two reworks by Floating Machine and the Portuguese duo Code Therapy. Mastered by Flembaz at Tripalle Studios; original photography by Luis Borges; design by Г‚ngela Silva.